The winter is not over yet and the next running season is knocking at the door. On January 28, 2018, the 29th charity run “Rund um Adelshausen” will take place, closely followed by the 39th Leimentalerlauf in Oberwil and the 9th SuperCross in Biel-Benken on 3 February 2017 respectively 4 February 2017 how it is told in the new running calendar for northwestern Switzerland and its region. This informative running calendar for our region is coordinated and finally launched by Kurt Frei. It is out now – fresh from the press – as recently seen in Ochsner Sport in the Freiengasse in Basel and will certainly also be found at one or the other running event in the region of northwestern Switzerland. In addition to the Muttenz Marathon, many other great running events in the region are represented in the running calendar and are listed by date in ascending order. Participation and support of these regional events as runner or visitor is hereby warmly recommended to all of us and we are sure there is something suitable for everyone! 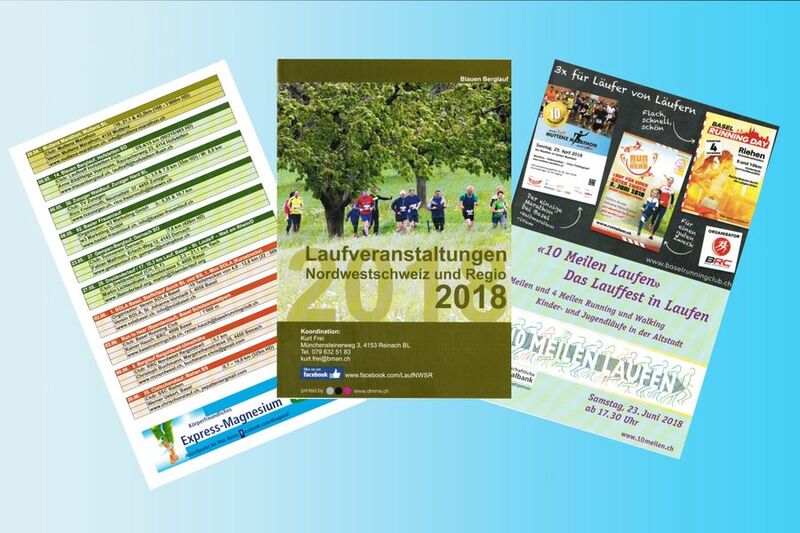 In the running calendar Northwestern Switzerland and Regio 2018 or on its Facebook appearance (https://www.facebook.com/LaufNWSR) you will find more information.